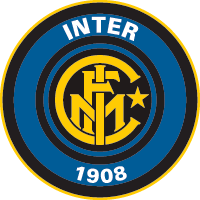 As everybody know there are two great football teams in Milan: Inter FC and AC Milan. Founded respectively in 1908 and in 1899, they represent a big part of Italian football history and tradition with 30 National Titles in two (13 Inter, 17 Milan). The most famous Italian players wore the shirts of the two Milanese teams, such as Giuseppe Meazza, Sandro Mazzola, Gianni Rivera, Franco Baresi, Roberto Baggio, and also many international players as Josè Altafini, Jair, Marco Van Basten, Frank Rijkaard, Ruud Gullit, Lothar Matthaeus, Dennis Bergkamp, George Weah, until Ronaldo and Schevchenko. AC Milan and Inter FC also won 8 Champions’ Leaugues (6 and 2) and 5 International Cups (3 and 2), and many other minor competitions. The two teams both play at S. Siro Stadium Giuseppe Meazza, that contains about 85000 supporters. Guided tour through San Siro Stadium, home to Italian and world famous soccer teams, A.C. Milan and F.C. Inter. You will have the chance to visit one of the most astounding sport buildings in the world, with a capacity of 85,000 people and also the stadium's museum, while listening at the glorious history surrounding the victories of A.C. Milan and F.C. Inter football clubs. The visit to Casa Milan museum is included in the price. Olimpia Milano is one of the most glorious Italian basketball teams founded in 1936. In his history the team won 25 Italian titles and 3 European Cups. After a period of crisis, during which the society was near to failing, last summer Armani Jeans, Adriano Galliani and some other people, decided to help Olimpia Milano with investments and sponsorships that permitted the society to join some good players to return on the top of European basketball. 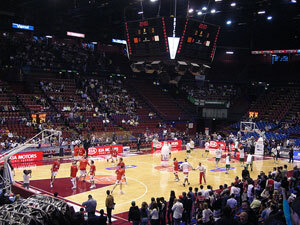 Olimpia Milano plays at PalaLido every Sunday. Who thinks that Italians do not know how to play ice hockey, have a look and watch the Vipers. In 2005, Milan was the host for the International Championship of College Ice Hockey. Every year thousands of people come to Milan to run in the Milan city marathon, which runs all around the city, passing through the historical parts of the town. A real competition in the tranquillity and in the beauty of a Sunday Milanese morning. Every year, in September, in the circuit of Monza takes place a Formula 1 race, the Italian Grand Prix. It is one of the most important sport events of the season for all Italian fans. The circuit was built from 1922 until 1928, and modified many times because of the high speed reached by the cars during the races. 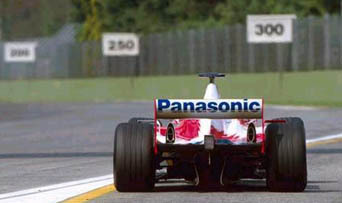 It is characterized by long “rettifilos”, hard brakes and fast curves. It is the favourite circuit of Ferrari and of Ferrari’s supporters: in fact every year there are more than 100000 people supporting the team in red. The Lombard Capital is also important because represents the arrival of the Giro d’Italia, the second event in order of importance after the Tour de France. In fact every year lots of famous cyclists take part to this race that always ends in the centre of Milan. 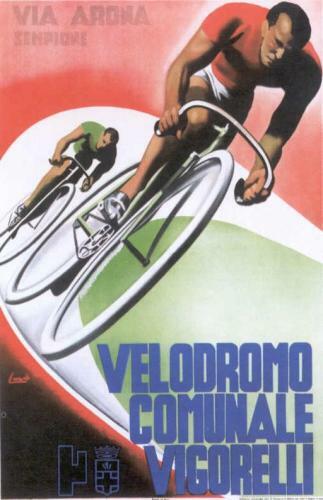 Milan is also the starting point of the most famous classical cycling race: the Milano-San Remo.